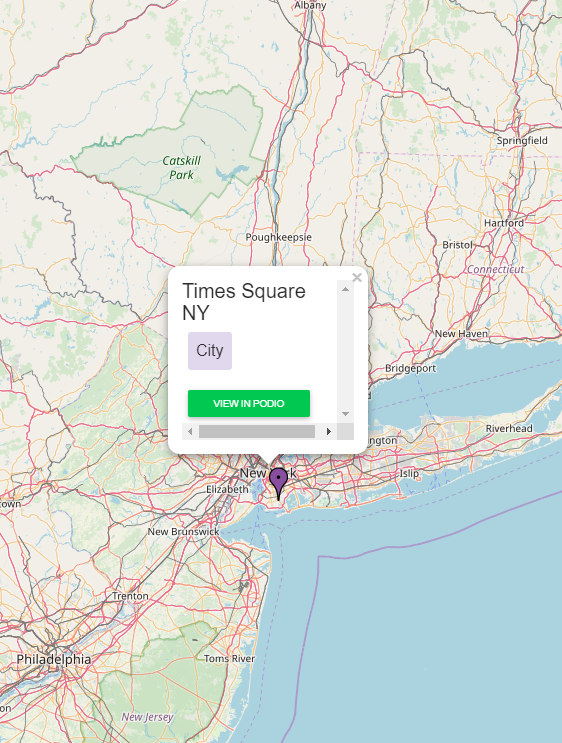 Visualise Podio data on a map! Do you need full access to my Podio account including all contacts? Yes, we will need full access to your Podio account, this is the only way Landmark can operate. 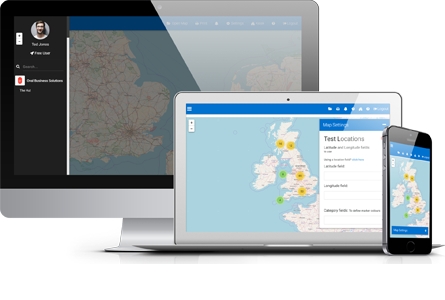 We only use the data for the mapping purposes and we fully comply with the new GDPR. How to set up my map? Allow Podio to generate a map. Select the app you want to use from the left-hand side menu on your Landmark. 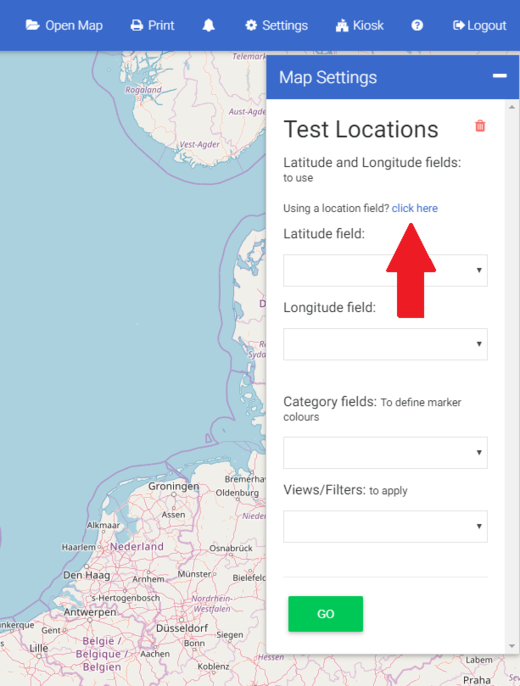 Click the text next to "Using a location field?". You can then select the fields to use via checkbox. Once you have selected the required app, you can select to filter by your custom view. Can I show multiple location markers on one single map and see this map in Podio? 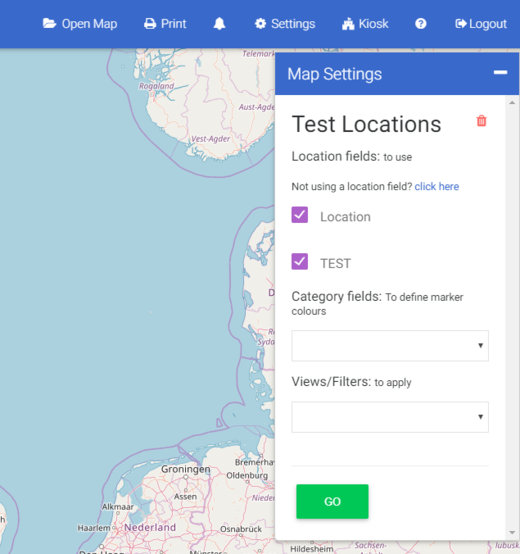 Yes, you can show multiple locations on one single map but you won't be able to have it embed in Podio. You can share it as a link on Podio if you are a Landmark Premium Account user. Can I use the multiple map pins on a mobile device or a tablet? Yes, the site is well responsive and displays accurately on a mobile or a tablet. 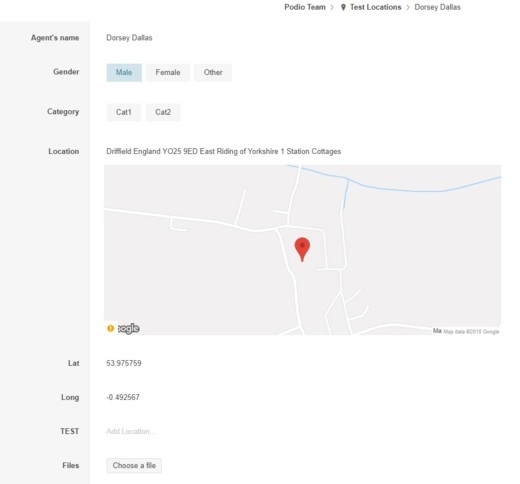 Can I show the post codes to the map location data? 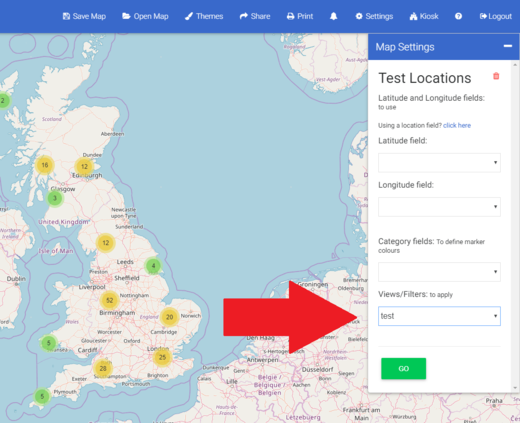 Landmark does not currently support postcodes to map location data. Your location data must either be in a location field in Podio, or stored as a latitude/longitude. If I have two accounts, can I merge them into one? Unfortunately a global account or merging your accounts isn't something that we support at the moment. When I connect, am I doing so just for my account or for the entire organisation? You are providing authorisation for your account and anything that you have access to would also be accessible by the application. Does the Landmark system support the function to live filter/search on embedded maps? Currently, this isn’t supported, and any maps you share are a snapshot in time. If you embedded a map on your site, then added a new item in Podio, this item would not be present in your embedded map. An alternative would be to create a pre-filled map to share. Can Landmark be integrated with other CRMs? Landmark is integrated with Podio but no other CRMs. Please get in touch with us if you'd like an estimate for an integration as a bespoke project. Once logged in, go to settings, then click the cancel account button. Let us know if you need something beyond our core feature-set. 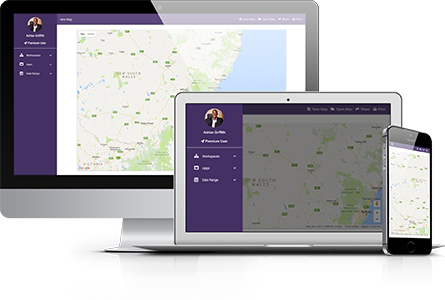 Our team of developers can work fast, using the Podio API and our mapping tools, to create bespoke solutions for your business.